The huge growth in UK van numbers is not being driven by people turning to online shopping. 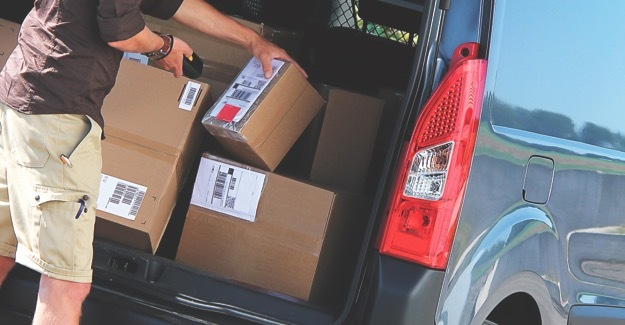 While there are now at least 3.7 million vans on the road, fewer than one in twenty-five (4%) are involved in delivering orders to consumers and businesses. Around 1.8 billion of these were so-called business-to-consumer (B2C) deliveries, the vast majority of which will have been the result of online shopping (e-commerce). A further 700 million or so packages were delivered on a business-to-business (B2B) basis. But while only 4% of vans will be involved in parcel delivery, they do account for a disproportionately high number of miles travelled; some 10% of all van mileage. This means that one in ten of the vans people encounter on the roads are engaged in parcel and packet deliveries, much of which is the result of e-commerce. Professor Braithwaite defines a van as “goods vehicles below 3.5 tonnes in weight including the payload”. Van types include: the panel van, Luton vans, tippers, flatbeds, dropsides and pickups. “Plenty of people suggest the surge in van traffic is down to our rapidly deepening love affair with online shopping. But this research suggests that sofa surfers might be helping to ease our traffic congestion woes. E-commerce is not the only, nor even the biggest, driver of the rise in vans.